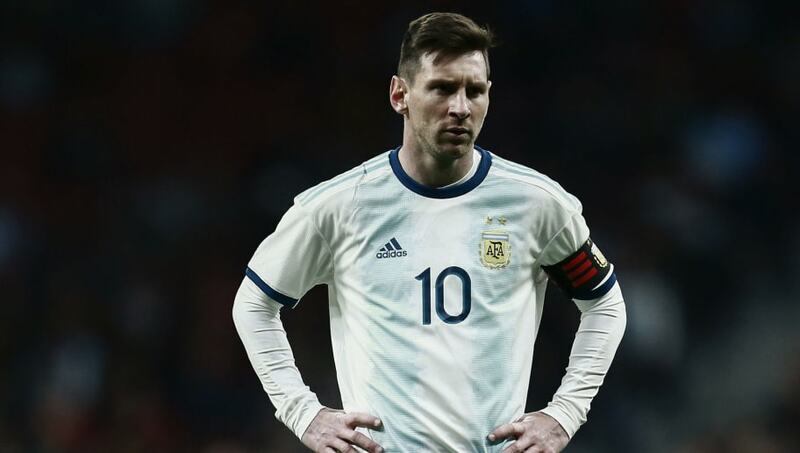 ​The first ever Argentine captain to hold the World Cup, Daniel Passarella has criticised Lionel Messi's attitude despite the Barcelona legend's inspirational performance in Argentina's loss against Venezuela. Messi's return back to the Argentinean national team did not go as per plan as the Albiceleste were incredibly beaten 3-1 by Venezuela in an international friendly on Friday. After the loss, Messi and co came under criticism but the match was looked over as it was the Barcelona great's first game for Argentina since playing last summer at the World Cup. However, Passarella had a slightly different opinion. As reported by ​Marca, after the game, Passarella said, "He's a great player who can give a lot to any team." He continued by talking about the difference in Messi's attitude when he plays for the national team as compared to when he plays for Barcelona. The former Argentina captain said, "When he plays for Barcelona he has a different attitude. He's better there." Specifying his previous point, Passarella concluded, "Sometimes these things happen. You play well for a team and they love you, but you don't feel at ease and something doesn't fit. I don't know what it is, but it should be something you feel inside." Messi only just returned to the national team fold once again and maybe does not deserve such a harsh criticism after his first game for Argentina in a long time, ​in which he also suffered an injury. His club form has been out of this world though. Messi has scored 39 goals in 36 games in all competitions for the Blaugrana, who are still alive in their pursuit for a treble this season.